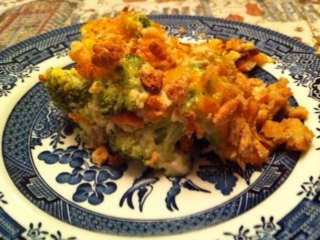 You will love this yummy Broccoli Cheese Casserole. See my guest blog and recipe on Life of the Party…the Official Blog of Celebrations.com. Oh no way I’m not going to use mayo with olive oil I wanna just go for it and you know if I have to wear sweatpants so be it LOL! Just curious: Are the broccoli packages the 10.5-ounce size? Thanks! Yes, the 10-12 oz is great.